Pools are a luxury feature found fairly commonly in areas that get warm during the summer. Having a pool can be a mixed emotion. On one hand it is fun and relaxing; it makes it wase to entertain. However, anyone with a pool knows it is a lot of maintenance and can be very expensive. Personally, the benefits of having a pool outweight the irritations in my opinion. If you are lucky (or cursed) enough to have a pool, here are some neat ideas to add before the summer season gets here. Pools are a fun way to to waste a summer afternoon. The excitement of having your own mini waterpark at home will make all the neighborhood kids jealous. Pools can be expensive, however temporary ones can work just as well if there is a hose spouting water. Most inground pools have lighting and wiring systems. Like any electrical system, upgrades and replacement are common. If you are needing to replace an electrical system or lighting, upgrading to LED lights is a great option. Besides having a longer lifetime, they can be found in an array of colors. Some systems are even able to be synced to music! Whether you have a wood deck or a concrete patio as your pool deck, these simple ideas can complete change the look of your pool! Restaining wood decking, painting or staining concrete, stamping faux stonework, or even a quick powerwashing can take your decking from night to day! 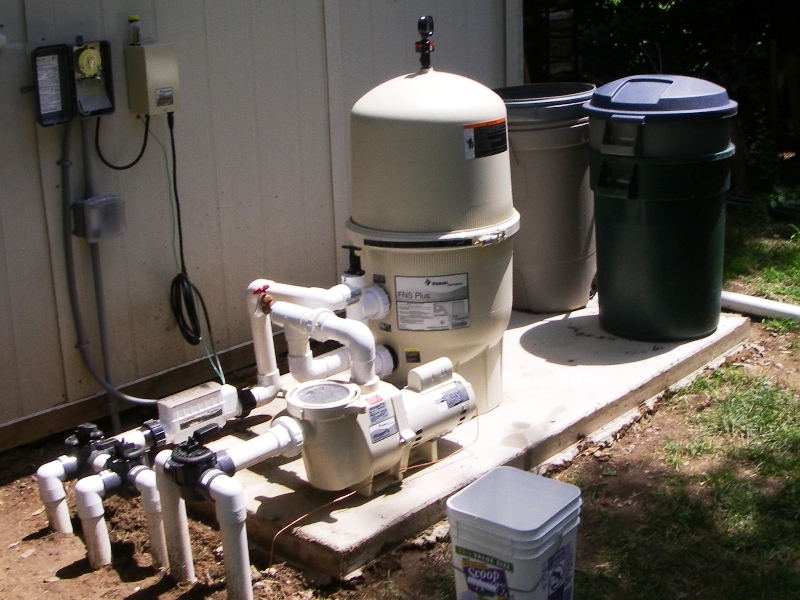 Upgrading the pump and/or filter can make your pool more efficient. Hopefully it can cut down monthy operating costs. It is easy to find pumps and filters at any pool store or online. 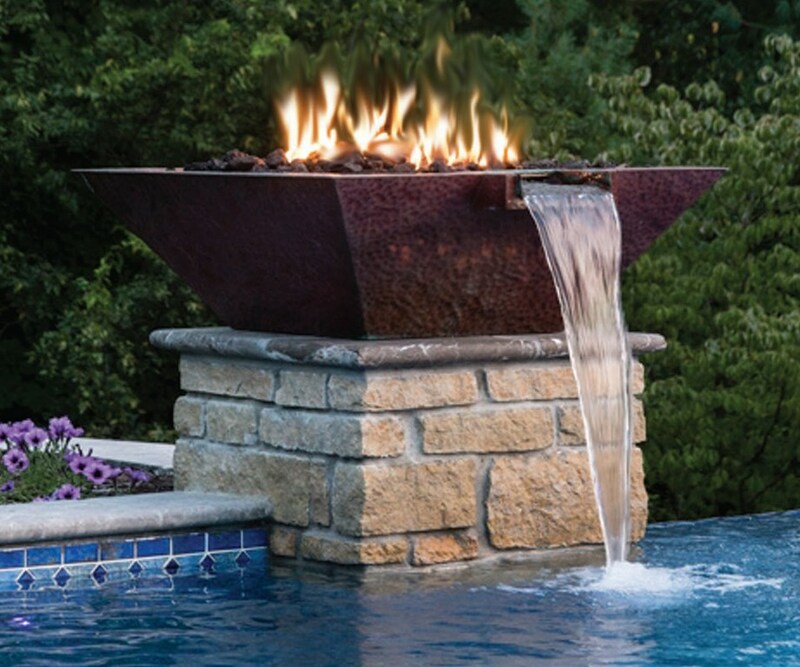 Water and fire features add a luxurious touch to a traditional pool. Pricing can range from extremely inexpensive to very expensive custom made. There is something for every budget. Since the pool area can be used for a few months a year in Kentucky, a fire feature would lengthen the use for the space into the spring and fall. For more fun ideas check out your local pool supplies store or garden center. Let the fun begin!